Club Captain Jack Collings retained his Mayne Tigers Club Champion status last night taking out the Keith Beavis Trophy for Best and Fairest for the second successive year in reward for another stellar season. Collings was justly proud of his achievement leading the Tigers into a finals series with an unprecedented number of young debutants in his team and will go down as one of the few Tigers in the club’s 94 year history to win two Best and Fairest awards. 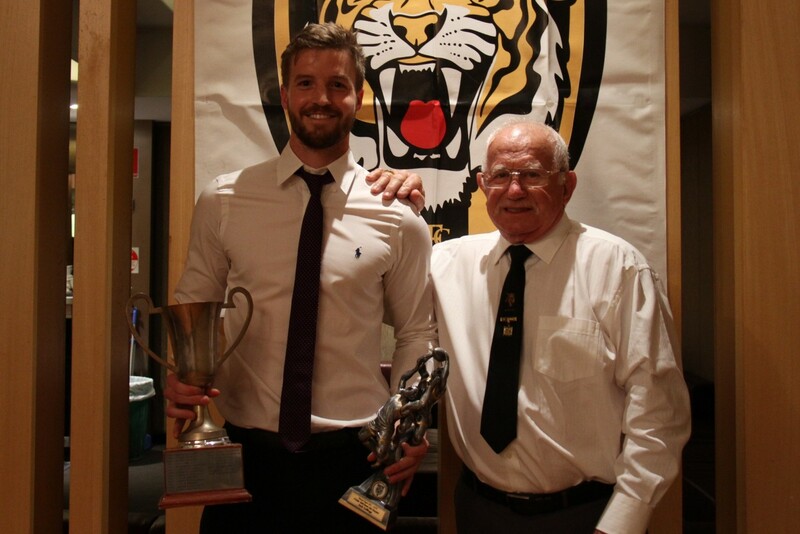 The Runner Up to Collings was Triple Premiership backman Dean Hartley who polled just five votes less finishing on 175 capping off another terrific season for the Tigers adding to his impressive record at the club. Jack Collings also took out the Mick Nolan Player’s Player Award judged by his peers to be the best player for the 2018 season in the senior team.